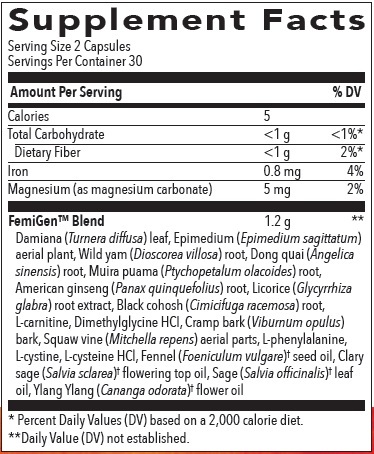 FemiGen Capsules | Got Oils? Keep in a cool, dry place. Do not expose to excessive heat. Keep out of reach of children. If pregnant or under a doctor's care, consult your physician.